Kids birthday parties…they can happen EVERY SINGLE WEEKEND and on occasion more than one on a Saturday or Sunday. While there’s a lot of fun to be had, parents can be left questioning what’s the right thing to do in a variety of situations. After all, what are the rules of conduct in modern society? Should you invite all of the kids in your child’s class? Should you open presents at the party or afterward? Do you need to write thank you notes or give goody bags? If your young child was invited, do you as a parent stay or go? Is it ok if you bring your other kids? How much should you spend? 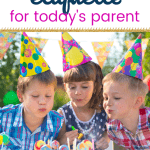 It can be difficult for parents to know current kid birthday protocol. 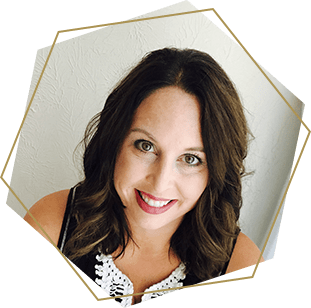 Read on for some helpful tips and answers to questions that may have crossed your mind the last time your child received an invitation. So, let’s talk first about if you’re hosting a birthday party for your child. The following questions might cross your mind. How many kids should I invite? / Should I invite the entire class? For younger kids, you don’t need to have a big party. One rule of thumb for the number of kids to invite is the child’s age plus one. So, if your son is turning 2, you’d invite 3 kids. This rule works really well for toddlers and preschoolers. If you have a school-age child, you may start to wonder if you should invite the entire class. There is no hard and fast rule about this. From a practical perspective, you should consider the size of the class and the location of the party as well as your budget. If those factors don’t constrain you, then you may want to consider the customs at the school. Is it the norm to invite everyone in the class? Do people only invite one gender or the other? Does the school have a policy or recommended guideline? Bottom line, it’s up to you and there’s not just one way to do it! Do I need to invite everyone that has invited my child to his or her birthday party? Not necessarily. If you want to and have space/budget, then by all means go for it! But, if you need to narrow down the list, that’s ok too. You may want to think of criteria for whom you’re going to invite. E.g. we’re only going to invite the neighborhood kids, or my daughter’s friends that’s she’s had for at least a year. You have a lot of leeway with whom you invite. As a general rule of thumb, be considerate about excluding one half of a pair e.g. if your child has friends that are twins or if there are a couple of friends that are besties. In those cases it’s best to invite both kids. When to send out the invitation? Ideally, an invite should go out a minimum of two weeks in advance. If the birthday falls during a busy time of the year like during the holiday, you should send it out three to four weeks in advance. You want people to be able to plan enough in advance, but not so far out that they forget! How do I follow up on those who have not RSVPd? Depending on the type of party, a firm headcount might be important. If you used a service like Evite, it will automatically send out a reminder to RSVP. You could also schedule a reminder to RSVP if you need to know sooner than the automated reminder. If you didn’t use an electronic service, it’s fine to follow up in person or with a phone call. Simply share that you’re excited about the party and trying to finalize details, that you would like to know if they are able to make it or not. Should we open gifts at the party? Many people like to open gifts at the party so that the guest can see how excited the birthday boy or girl is and that your child can express gratitude for the gift. The reality is, it’s not always ideal to open gifts. If the kids are really young, they won’t have an attention span to watch gift opening. If you’re pressed for time, the guests may have more fun playing than sitting and watching. If you decide to open gifts, do it at a time when people are already sitting e.g. when they are eating cake. If you decide not to open gifts, then consider taking pics with your phone of your child opening the gift then texting it to the parent who brought the gift. This gives you the opportunity to make the best of both options! Should I have goody bags? Most kids do have goody bags at their party, but you don’t have to spend a boatload. Consider getting items at the dollar store. You could also make your own things to put in the goody bag like a popcorn ball, or a cupcake to take home. It really is the gesture more than the contents that matter with good bags. Thank you notes often are not the norm for kid’s birthday parties, but they are a great way to get your child involved and teach them gratitude. They can color a picture or as I mentioned above about opening gifts, you could take a picture of your child after the party with their gift. Make sure you explain to them what you’re doing and why you’re doing it. 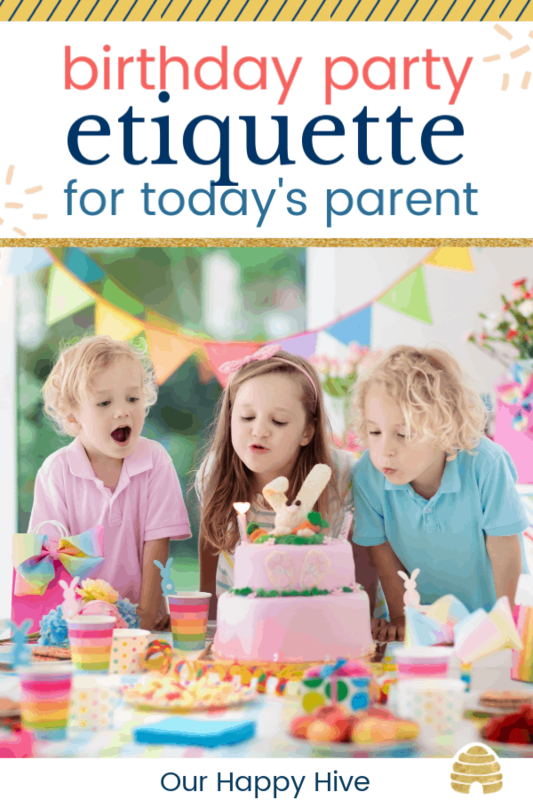 So, now that we’ve covered all of the basics for hosting a birthday party, let’s discuss some etiquette for attending a kid’s birthday party. Gifts for kids don’t have to be expensive. It really is the thought that counts. A good range is $10-25 dollars depending on how close the child is to your family. As an example, you may spend more on a bestie, good neighbor, or niece/nephew. Should I involve my child in picking out the gift? If your child is old enough to keep a surprise, then it’s nice to involve them in picking out a gift. They will know what the other child likes, they will feel special being involved in the process, and they will have a sense of pride. A word of caution though, your child may not be mature enough to pick out something for someone else and not themselves. You could end up with a little drama on your hands! Should I stay at the party? Typically, for toddlers and preschoolers, parents are expected to stay at the party. The same could be true of early school-aged children. Typically, when kids get a little older, the parents drop them off and come back to pick them up. Customs are also different in different parts of the country. Depending on the location and size, there practically might not be room for all of the parents to stay. Should siblings come to the party? Often for toddlers and preschoolers, it’s ok to bring a sibling. This is true because the parent is expected to be present. But, as kids get older, it is not appropriate to bring siblings to parties. When in doubt, make alternative arrangements for siblings. If you’re in a bind, either check with the host or decline the invite this time. Yes, as a common courtesy, be sure to RSVP even if you can’t make it. As soon as you know, it’s nice to let the host know about your attendance. This gives them an opportunity to plan and confirm the final guest tally for the party. 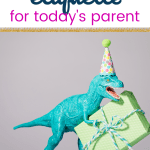 My child can’t attend the party, should I still give a gift? If your child doesn’t attend, there is no expectation that he or she gives a gift. Of course, if it’s a close friend or relative, you may want to any ways. That’s up to you! We live in a pretty fluid society. There aren’t as many hard and fast rules as there were in the past. 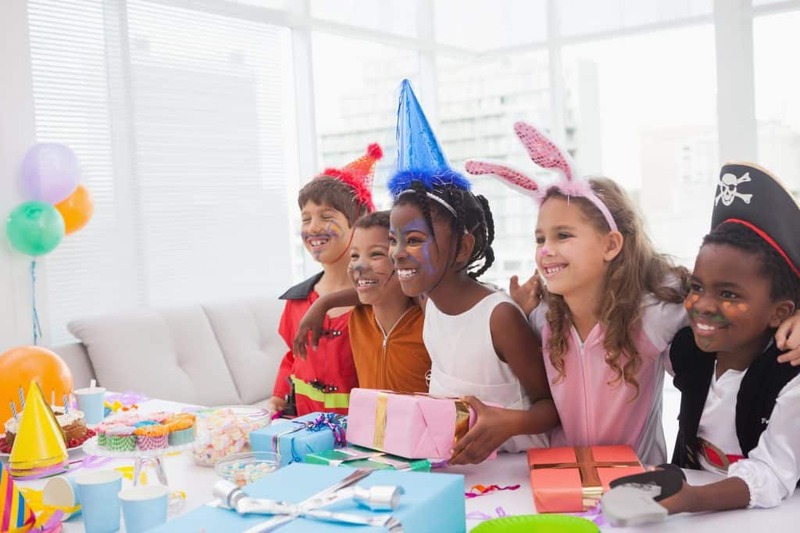 Kids Birthday Party Etiquette varies depending on a variety of factors from the closeness of the relationship, size of the venue, to your budget. The most important thing is being thoughtful and celebrating the life of a little human being!